Almost 20 years after measles was eliminated in the U.S., 2019 could see the highest rates of the dangerous disease in three decades, an expert has warned. A combination of the efforts of the small but extremely vocal anti-vaccine movement and barriers to obtaining shots in some communities has sparked outbreaks of the potentially deadly—but entirely preventable—disease across the country. In the decade before the deployment of the first measles vaccine in 1963, an estimated 3 million to 4 million people in the U.S. became infected with the disease. It killed between 400 to 500 people each year. An outbreak in school-age children in 1989 prompted immunologists and pediatricians to push for a countrywide immunization program. The campaign was a success: By 2000, the disease had been eliminated, defined as reduced to zero incidences for more than 12 months, falling short of eradication in which this effect is seen worldwide. 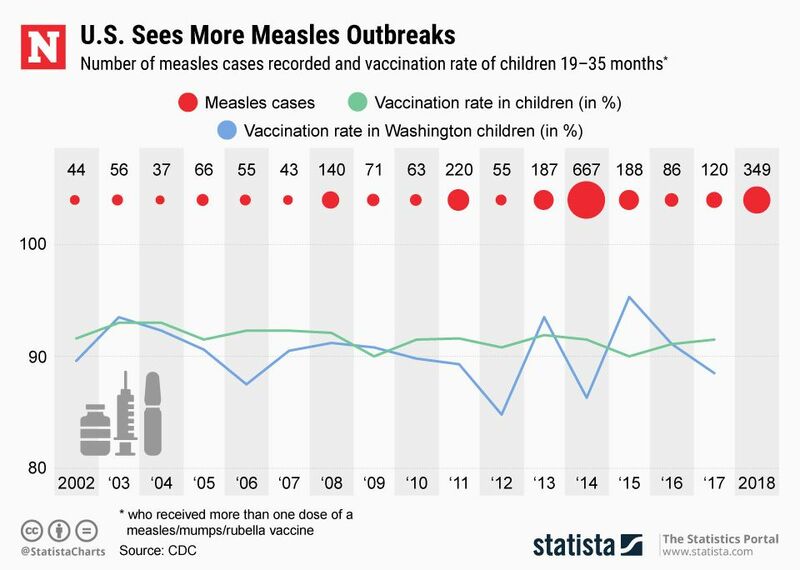 But efforts to prevent measles have unraveled, and 2019 could be the “worst year for measles” since 1989, William Moss, a specialist in epidemiology and immunology at Johns Hopkins Bloomberg School of Public Health, told Newsweek. "[This forecast] points to the fact that we are losing ground to this disease that once killed millions of children each year,” said Moss. While a spokesperson for the Centers for Disease Control and Prevention in Atlanta tempered Moss’s prediction, and told Newsweek it was too early to predict how many cases there would be in 2019, the figures from 2018 lay bare the prevalence of vaccine hesitancy in pockets of the country. Some 349 cases of measles were identified across 26 states and the District of Columbia last year: The second highest levels in the U.S. since an outbreak in 2014 sickened 667 people. Last year’s bouts included the worst in New York since the 1990s, mostly affecting members of Orthodox Jewish communities and unvaccinated travelers returning from Israel. And the issue has bled into 2019. In Clark County, Washington, a total of 38 people—including 27 children under the age of 10—have so far been affected by a measles outbreak that led its governor to declare a state of emergency as a way to channel public funds to tackle the problem. Three unvaccinated members of the same family had been diagnosed with the disease in Atlanta. Meanwhile, outbreaks in New York State, including New York City, and New Jersey are ongoing. The anti-vaccine movement has played an important role in the reemergence of measles, Moss explained. 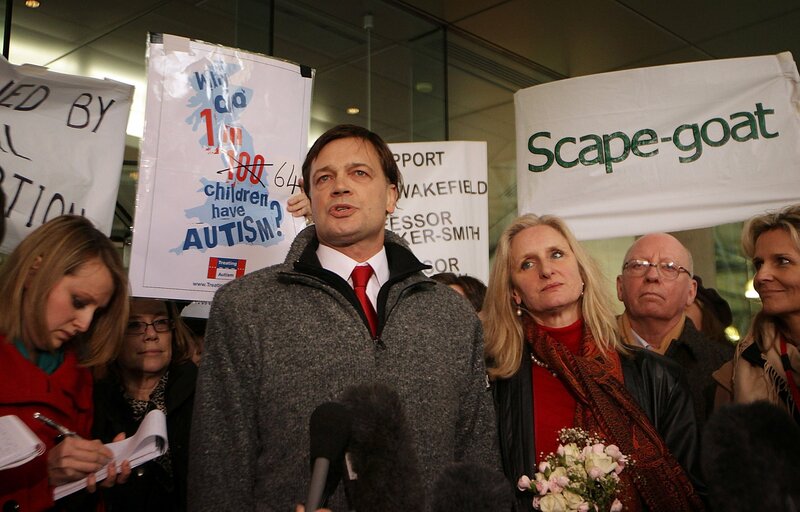 The swell of distrust toward the MMR vaccine—which protects against measles, mumps and rubella—partly stems from the false claims made by disgraced former doctor Andrew Wakefield. In 2010, he was struck from the medical register for publishing a 1998 study in The Lancet journal wrongly linking the MMR vaccine to autism. The work has since been shown to have no scientific basis. Regardless, his claims have been spread online by anti-vaccine campaigners on both sides of the political spectrum. Anti-vaccine sentiment has even been peddled by President Donald Trump, who invited Wakefield to his inaugural ball. Last year, a study published in the journal PLOS suggested the number of children not being vaccinated because of their parents' nonmedical, philosophical beliefs had risen in 12 of the 18 states that allow this: Arkansas, Arizona, Idaho, Maine, Minnesota, North Dakota, Ohio, Oklahoma, Oregon, Pennsylvania, Texas and Utah. Metropolitan areas, including Seattle; Portland, Oregon; Phoenix; Salt Lake City; and Houston, as well as smaller counties in Idaho, Wisconsin, and Utah, were identified as “hot spots” for anti-vaccine attitudes, which leaves populations vulnerable to preventable diseases, the researchers found. Indeed, an outbreak of measles among a Somali community in 2017 was a direct result of a targeted campaign by such groups, Helen Bedford, an epidemiology expert at the University College London Great Ormond Street Institute of Child Health, U.K., told Newsweek. 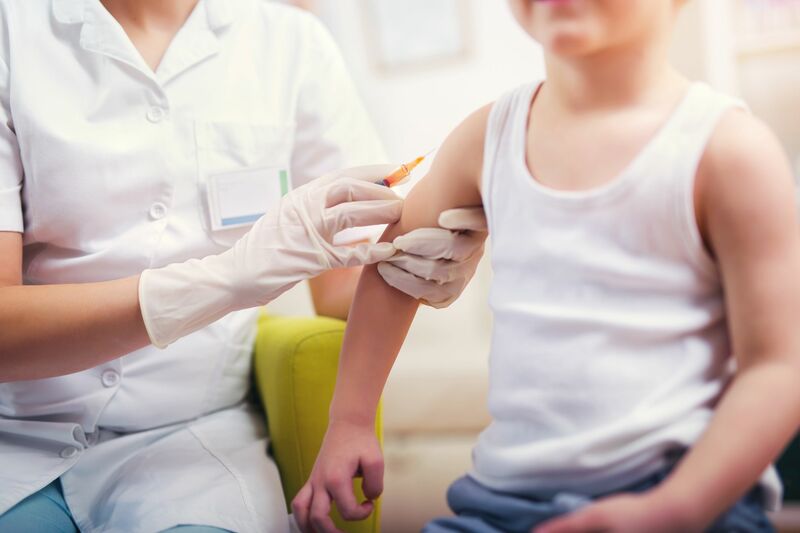 The rise of vaccine hesitancy has become such a concern that the World Health Organization named it one of the biggest health threats of 2019 earlier this month. But while the movement “must be taken seriously,” pinning the blame solely on anti-vaxxers risks giving the movement more credit than it deserves, she said. After all, only about 2 percent of the U.S. population opposes vaccines, Bedford said. Importations, in which an individual brings the disease from a country where vaccine rates are low, are another “major issue,” said Bedford, pointing to the cases in New York’s Orthodox Jewish communities linked to Israel. "Research has shown that these communities are not necessarily opposed to the vaccine but often have difficulties with access, often having large families which can make it difficult to attend to vaccination,” Bedford explained. Irrespective of the motivations for an individual not getting vaccinated, the worrying outcomes are the same. Vaccines can eliminate conditions through what is known as herd immunity, in which a population is protected from an infectious disease because the vast majority of people have been vaccinated against it. That not only means an individual won’t fall ill themselves but is less likely to pass it to the most vulnerable who can’t receive vaccines because their immune systems are too weak. Newborn babies and children with cancer fall into this category. For herd immunity to work, at least 90 to 95 percent of the population must have up-to-date vaccines. Getting vaccinated is therefore sometimes regarded as a public duty. Tellingly, between 2017 and 2018, only 77.6 percent of children from kindergarten to 12th grade in Clark County, Washington, received all their shots. The graphic below was provided by Statista. Often underscoring vaccine hesitancy is the false belief that measles is not particularly dangerous, while the measles vaccine is. But once herd immunity is compromised, individuals risk contracting a disease that can kill or severely disable them, said Moss. "The measles vaccine is very safe" and measles is "completely preventable," he said. The disease poses the greatest risk to children younger than 5 years old, and adults older than 20, as well pregnant women, and those with weak immune systems. Alyssa Hernandez, whose 2-year-old son was not healthy enough to be vaccinated after receiving a liver transplant, lives in California, where some counties have vaccine rates lower than 90 percent. She recently told NBC News: "I’m scared to take him out. I’m scared to have him go to school, because you don’t know what’s around." First, measles can cause a high fever, cough and runny nose, followed by a rash that spreads from the head to the rest of the body. An infectious person can spread the disease four days before and after the rash appears. It can trigger complications such as pneumonia—the biggest cause of death in young children with measles—as well as encephalitis, which causes the brain to swell and can trigger convulsions, deafness and intellectual disabilities. Dr. Nancy Messonnier, director of the CDC's National Center for Immunizations and Respiratory Diseases, told Newsweek that outbreaks of measles such as that in Clark County should act as “a reminder to parents that many diseases rarely seen in the U.S. can affect their unvaccinated children. “There’s no way to tell if a child’s case will be mild or serious. It is best to protect our children rather than treat them,” she said. Moss advised parents who are confused by vaccinations "to speak to someone who is informed and who they can trust, such as their child’s pediatrician or nurse practitioner. "Parents need to be very wary of information they find on the internet, as many sites present false or misleading information about vaccines," he said. "Websites to be trusted include those of the CDC or World Health Organizations. These are organizations with the goal of protecting children from disease." To combat the wider issue of vaccine hesitancy, Bedford said those on the right side of the debate should use such tools as social media and celebrity endorsements—which have been harnessed by anti-vaxxers to devastating effect—to inform parents that the MMR shot is safe, and measles can be deadly. Moss agreed: “We need to have key community advocates talk about the danger of measles and the benefits and safety of measles vaccines, including physicians, lawmakers, celebrities, sports figures and parents whose children have suffered or died from measles." "We need smart laws that promote public health while recognizing individual rights, and that are designed to reduce the risk of measles outbreaks,” he said, pointing to recent legislative changes in California following an outbreak at Disney as an example. Moss added: “There is no reason—other than medical contraindications, for example children with cancer—that a child in the U.S. should not be protected against measles."